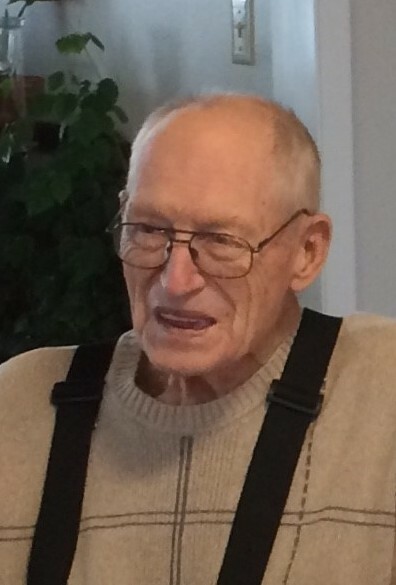 James Victor “Vic” Shelhamer, 82, of Wilsall, Montana, passed away Monday, January 21st, 2019. A funeral service will be held 2:00 P.M. on Saturday, January 26th, 2019 at the Shields Valley United Methodist Church in Clyde Park, a viewing will be held one-hour prior at the church. Interment will follow at the Wilsall Cemetery and then a reception will be at the Wilsall Senior Center. Vic was born to Clinton Van Shelhamer and Grace Jeffries Shelhamer on May 12, 1936 in Livingston Montana. His childhood was spent in the beautiful landscapes of Brackett Creek. He attended Clyde Park High School where he graduated in May of 1954. Vic entered active military service in the United States Army in 1958 and served his country during the Korean War. He received an honorable discharge on June 1, 1960. After he returned from the service, he moved back to Clyde Park, Montana, where he married Margaret Mae Logan in May of 1961. They began raising their family of four children: Mitch, Rodney, Lori, and Staci. They shared 57 years of marriage. The Shelhamer household was filled with love, laughter, and joy with the constant presence of close friends and family. Vic enjoyed ranch life, bronc riding, and anything to do with rodeo. He spent his free time fishing, hunting, and spending time with friends and family. Summers where filled with gardening and sitting out on the swing watching birds fly by. He loved nothing more than shooting the breeze with anyone willing, all while enjoying a cold Bud Light. He also loved music and dancing like no one was watching. Survived by: wife, Margaret (Logan) Shelhamer; sister, Lynne Carol (Roger) Hendrickson; brother, Don (Barbara) Elliot; son, Mitch (Suzi) Shelhamer; daughter, Lori (Jeff) Hughes; daughter, Staci (Wesley) Stafford. Great-grandchildren: Matthius Schneider, Asa Schneider, Joshua Blaydes, Julia Blaydes, Sheila LeBlanc, Brinley Longshore, Jackson Longshore. Nieces, nephews other relatives and friends.